If you stand near the entrance of any grocery store, you will see carts piled high with cases of sports drinks. Many people incorrectly believe that drinking sports drinks is healthier than water, or that they offer some nutritional benefit. In fact, a 20-ounce bottle of Gatorade contains 34 grams of sugar. That is more than the recommended total daily amount of 32 grams per day! Sport drinks also pack a double punch, as they are very acidic. 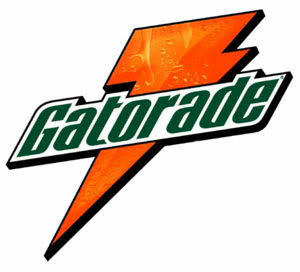 Gatorade contains citric acid, which wears down the enamel on teeth making them weak and susceptible to decay. The combination of sugar and acid is detrimental to your oral health and can contribute to cavities and tooth sensitivity, especially in young patients. What are the worst drinks for acid and sugar? Gatorade or Powerade, iced tea, soda, and alcohol. Avoid these drinks if possible, but if you simply must imbibe, try to (1) rinse your mouth after drinking with a water swish, or chew sugarless gum, (2) drink them all at once, instead of slowly sipping them throughout the day, and (3) limit your consumption to when absolutely necessary. Of course, preventative oral health is always the most important way to combat tooth decay and disease, so make sure to schedule your dental cleaning appointments regularly. And put down that Gatorade! Copyright © 2019 Sullivan Dental. All rights reserved.